Modality Systems IM HelpMe provides quick and easy access to the right support and expertise when you need it. Modality Systems IM HelpMe provides quick and easy access to the right support and expertise when you need it. 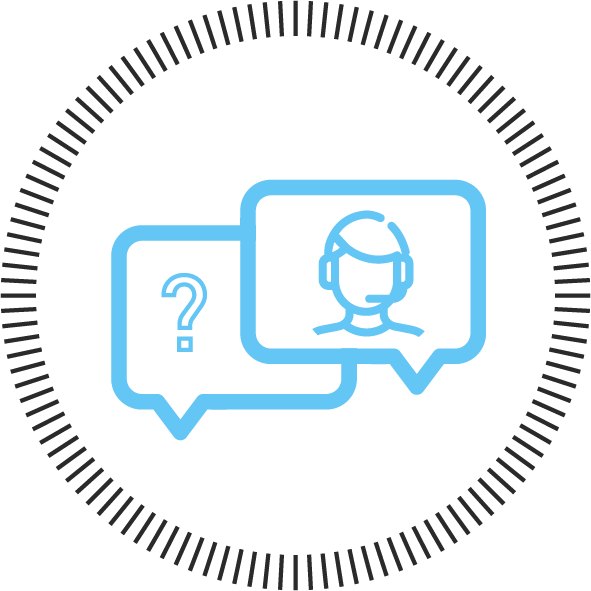 Using the instant messaging (IM) functionality in Skype for Business, IM HelpMe intelligently routes user questions to the most appropriate subject matter expert – to provide the best answers. If needed, enquiries can be escalated to a Skype for Business video or audio call. Organisations use IM HelpMe in a wide variety of scenarios including helpdesks, support centres, for general access to subject matter experts and as back up to customer facing teams. Getting the right answers to everyday questions can be a frustrating and time consuming occurrence in most businesses – and can have a real impact on staff productivity. It’s often hard to find the right person to ask: staff get bounced around different departments and frequently get locked up in voicemail. Not any more, with IM HelpMe. Instant messages are routed to the first available subject matter expert – wherever they’re based. No more wandering the corridors, searching internal directories, hanging on the phone or waiting for a call back. IM HelpMe is the perfect tool for support desks, customer service centres and any business with silos of knowledge and multiple sites and geographies. With additional customisation, it can also be configured with a web client interface to allow integrate with externally facing websites - providing web-chat facilities to customers and visitors. 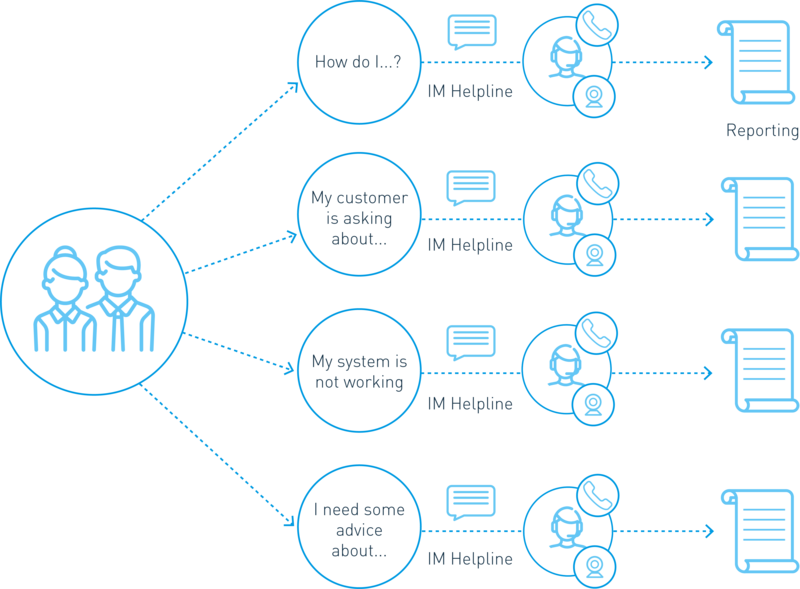 IM HelpMe is built for those organisations using Skype for Business, and are looking to provide staff with better access to specific areas of expertise to save time, enhance performance, increase engagement and satisfaction, improve customer experience and much more. Want to find out more about IM HelpMe? Send us some information about you and your company and a team member will get in touch with you.